The fifty-ton British Centurion tank, developed during the darkest days of the Second World War, was designed to out-gun and out-perform the latest German tanks, such as the formidable Panzer V Panther. It was one of the most successful tanks ever produced, and this volume in the TankCraft series by Robert Jackson is the ideal introduction to it. The Centurion came into service too late to test its ability in action with German armour, but in the post-war world it earned a fearsome reputation in action during the many conflicts of the Cold War era, from the Middle East to Vietnam. Nearly 4,500 were built, serving with the armies of some twenty nations. The Centurion’s chassis was also adapted to fulfil a variety of tasks, including armoured recovery, bridge-laying and guided weapons carrier. 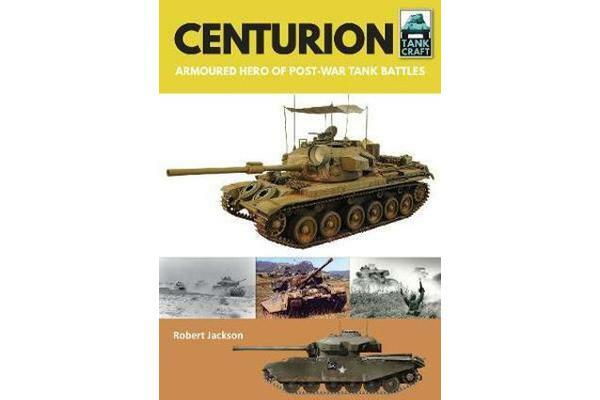 As well as tracing the history of the Centurion, Robert Jackson’s book is an excellent source of reference for the modeller, providing details of available kits and photographs of award-winning models, together with artworks showing the colour schemes applied to these tanks. Each section of the book is supported by a wealth of archive photographs.